Click one of our bottles to jump. The True Spirit of Brazil. Cachaça - the national spirit of Brazil - is a sugarcane based spirit with a subtly sweet flavor profile often praised for its complexity and versatility. With a smoky aroma and smooth finish, Espirito Clássico is our award-winning contribution to this wonderfully diverse category of spirits. Derived from hand-harvest sugarcane and double distilled in custom copper pot stills, Espirito Clássico is the perfect foundation for a wide variety of wonderful and exciting cocktails. Named after the Portuguese word for golden, Espirito Dourado perfectly demonstrates why cachaça is often heralded as one of the world’s most dynamic and versatile spirits. Aged for two years in barrels crafted from Balsamo wood - a deep red heartwood tree native to the Amazon rainforest - its golden color and exotic flavor profile distinguish it as one of the few spirits that is just as at home in a well crafted cocktail as it does being enjoyed neat. Born in Brazil, Raised in Kentucky. Aged for a minimum of one year in freshly harvested Kentucky bourbon barrels, Espirito Cavaleiro is the embodiment of a perfect union between the native spirits of America and Brazil. With a distinctly bourbon forward aroma/nose and subtly sweet palate, Espirito Cavaleiro is the ideal spirit for anyone interested in discovering something new in something familiar. BOTECO Vodka is crafted from freshly pressed, naturally gluten-free sugarcane - making it much smoother and more delicate than its harsher grain and potato based counterparts. As a result, BOTECO Vodka pairs well with almost any ingredient and provides the perfect canvas for nearly any cocktail. Lime is of the Essence. 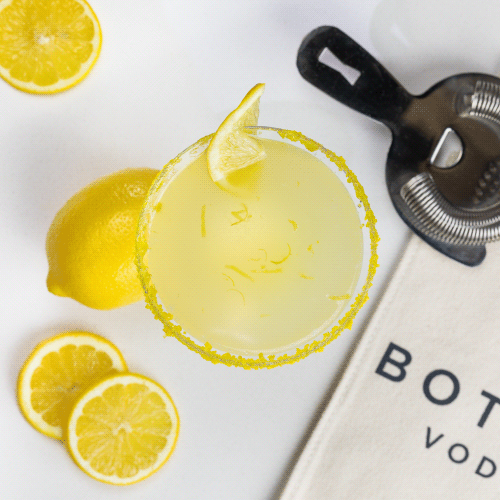 Made with all-natural ingredients, BOTECO Lime perfectly balances the tart, citrus notes of its namesake ingredient with the subtly sweet flavor profile of BOTECO Vodka. If you’re looking for a refreshing alternative to the many artificial selections that dominate the flavored vodka landscape, then this is the spirit for you. Recognizing that many, if not most, flavored vodkas taste either too medicinal or too much like candy, two full years of development went into perfecting BOTECO Berry’s flavor. The result is a beautifully harmonious vodka that manages to retain the inherently sweet flavor of all-natural raspberry without sacrificing the integrity of the spirit itself.